You're a historical romance fan. From Goodreads.com: "It would be unwise to mistake me for an innocent debutante—for years I have graced the smoky gloom of many a billiards club and honed my skills at my father's side. But now he has a new protégé—Captain Greer Barrington—and while my father would see me attract the attentions of an eligible lord I, Mercedes Lockhart, have other ambitions. but his sensual kisses could be worth the risk." 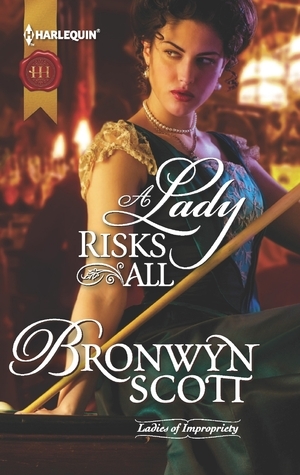 "A Lady Risks All" is about Mercedes, a woman who can play billiards with the best of the men. During her time period, it was seen as unladylike to play billiards so she must play in secret or at least on the down low. She falls for a gentleman, Greer, but first her father wants her to get something from him but they fall for each other before too long. 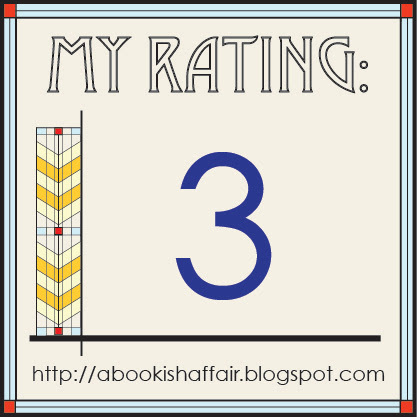 Although this is a historical romance, you don't get a really good feel for the historical time period at all. I know that historical romance books often take a little more liberty with the historical aspect of their books but I wanted to understand a little more about the time in which Mercedes was living in. The romance in this book was good. The romantic scenes were sufficiently spicy and more than satisfying. I read most of this book while being delayed trying to fly back home. This book made my delay seem like nothing! I will look forward to reading other Bronwyn Scott books in the future!